Time for a quick hunt? Capcom has launched the Witcher 3 crossover quest with a free update for Monster Hunter: World on PS4 and Xbox One. The PC version is also getting the update, just not yet. And with that, I'm now very anxious to find out if Monster Hunter: World is still alive and well on my PS4 or if I deleted the game when it slipped out of my weekly rotation to make room for newer titles. Aside from borrowing Geralt, Capcom is also pitting players against a certain woodland foe and letting them morph their Palico helper into a Nekker. The Leshen is a cool surprise for those of us who expected to see a Griffin let loose in the New World, and the same goes for the Ciri cameo. Even if you aren't a Witcher 3 devotee like Ray, there's a lot to like here. World just keeps on giving. As noted on the Capcom-Unity blog, phase one of the Witcher x Monster Hunter crossover is playing as Geralt in the Special Assignment "Contract: Trouble in the Ancient Forest." Clearing this quest will open up the "Geralt α" full armor set for crafting, the Sword & Shield weapon "Witcher's Silver Sword," and the "Nekker α" armor and "Cursed Staff α" for your Palico (found, as always, in the Smithy's list). Part two of the crossover will come a little later. 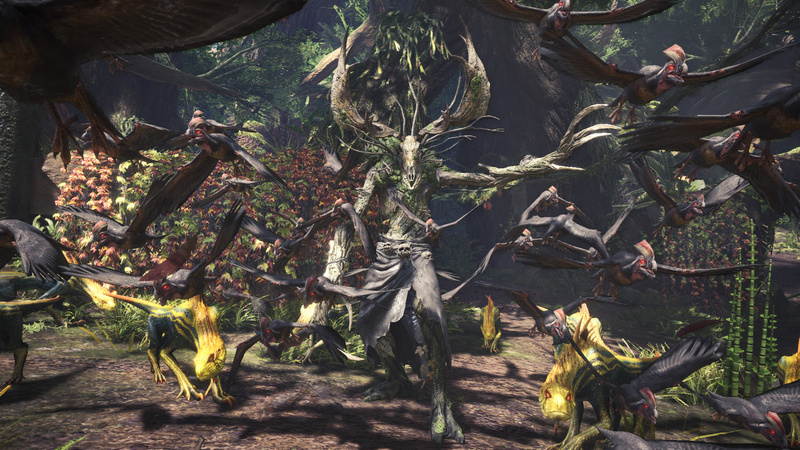 From February 15 to March 1, World will run the limited-time Event Quest "Contract: Woodland Spirit" for HR50+ players. Bring down the Ancient Leshen with pals and you can secure the "Ciri α" full armor set and "a matching set of Dual Blades." Not gonna lie: I'm pumped for the Iceborne expansion and this stuff only makes me more impatient. It'd be a lot easier if I kept up with Monster Hunter: World and didn't come into these updates all rusty.